The Pacific Northwest hop harvest is in full swing. Beer enthusiasts are rejoicing as fresh hop beers hit store shelves. 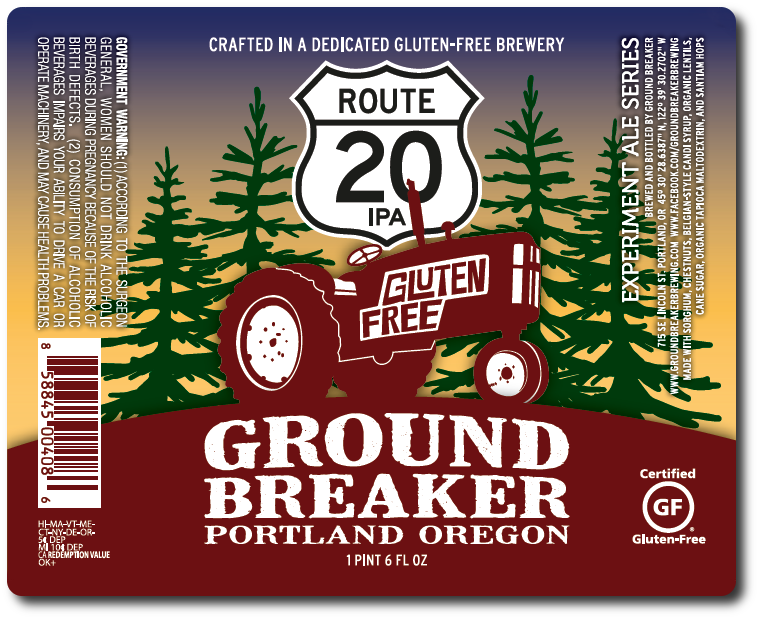 Ground Breaker Brewing is ensuring that those with celiac disease and non-celiac gluten sensitivities don’t miss out on all the fresh hop fun. Every year around this time, the crew at Ground Breaker make the pilgrimage to Goschie Farms to collect hops that are fresh out of the field. This year the journey was the same, but the hops and the beer will be different. In years past, Ground Breaker has showcased a pale ale brewed with Meridian hops. For 2016 they’re rolling out an IPA made with 180 pounds of fresh Crystal hops. Brimming with Crystal hops, this beer celebrates an aroma that conjures the scent of an Oregon forest. Of course, a new beer means a new name. Ground Breaker is calling their fresh hop IPA Gayle, in honor of Gayle Goschie. The Ground Breaker Gastropub will be hosting a Fried Chicken Dinner Wednesday, September 28th to coincide with the release of the beer. Gayle will be distributed in a 22 ounce package and should begin making its way onto store shelves in the first week of October in Oregon and Washington. The dog days of summer have arrived, and so has the next release in the Experiment Ale Series from Ground Breaker Brewing. Heyday IPA will be released Wednesday, August 3rd by the country’s first 100% dedicated gluten-free craft brewery. A release party will take place at their Gastropub located at 2030 SE 7th Ave. Fried Chicken Supper is slated to be on the menu, as well as three taproom exclusive renditions of the Heyday IPA. The taproom exclusives which will also be featured at the release party include a “keg-hopped” version of the beer with juiced ginger root, one with smoked citrus added during primary fermentation, and a single-hop variation of the beer brewed with Azacca hops. These taproom exclusives will be available only in the pub for a limited time. The Heyday IPA will begin hitting store shelves in Ground Breaker distributed territory the first week of August.